Treat yourselves and your guests to the experience of a lifetime, extending over several amazing, fun-filled days. We rent our beautiful property by the weekend, allowing for you to truly get away, relax and enjoy the time spent with your family and friends. 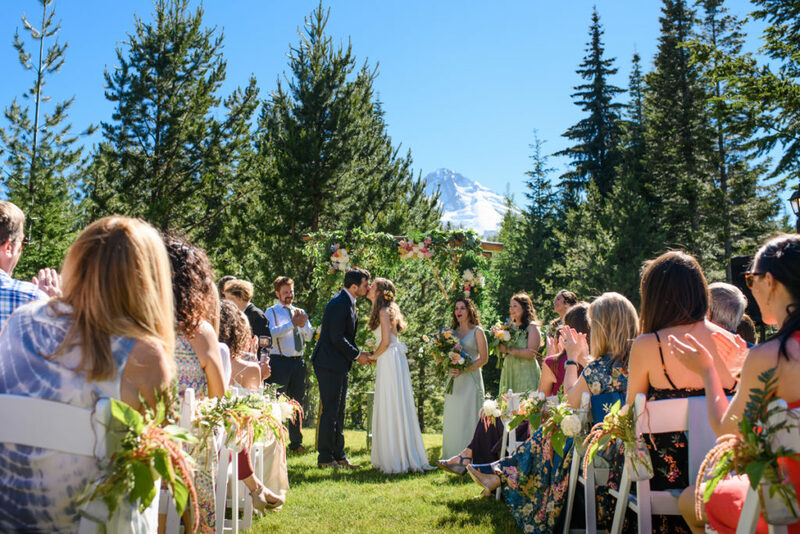 Cooper Spur Mountain Resort offers a wide array of amenities including indoor and outdoor wedding venues, comfortable lodging accommodations, farm to table dining & catering and world class recreational opportunities. You’ll love simply relaxing at the resort and enjoying activities such as hiking to scenic waterfalls, road and mountain biking, playing beach volleyball, tennis, basketball and lawn games, stargazing, as well as a variety of winter snow sports. If you’d like to explore the area a little more, let us help you coordinate excursions around Hood River County. Some favorites include white water rafting, scenic chair lift rides, wine/beer tasting, glass blowing, and the Fruit Loop farm stands, all with the option of having private group transportation provided. We would love to also host your Rehearsal/Welcome Dinner, Late Night Party and Farewell Breakfast, allowing you to enjoy the property and not worry about traveling anywhere. Combined with a beautiful location nestled into 775 acres of Mt. Hood National Forest and the exceptional hospitality from our entire dedicated staff, Cooper Spur is truly the unique retreat experience you have been looking for. 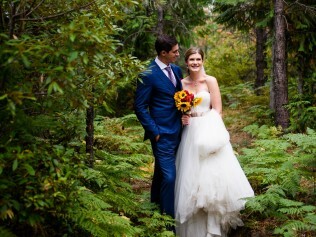 "Last weekend, my husband and I had our wedding at the Cooper Spur Mountain Resort. We could not be more pleased with our decision. We had guests coming in from all over (Chicago, California, Hawaii, Florida, and New Hampshire to name a few). Not a single person had a bad thing to say about their stay. To begin, I worked with Sara Germann, the coordinator and she was beyond professional. I was a first time bride and had pretty much no idea what I was doing. She helped me every step of the way, providing answers as well as giving me options on how I should do things, but never pressuring me to do one thing or the other. Honestly, it was like having a friend with all the inside information that I needed. She was an absolute pleasure to work with from beginning to end. If it wasn't so expensive (as all weddings are), I wouldn't hesitate to do it all again. As for food, Joe Silliman went above and beyond. I can't count how many times throughout the night I heard from one of our guests, "This is the BEST wedding food I've ever had". He was very flexible with any requests that we made (I'm lactose intolerant and my husband hates mayo or creamy things). The saddest part of the evening was that everyone kept talking about how delicious the rolls were, but I was too busy mingling to get a chance to try one. Oh well, guess I'll just have to go back. There were so many other people involved that made our day beyond amazing, but here's the bottom line - I love this place and everyone in it. I cannot WAIT to go back and just enjoy a weekend there, without the chaos of a wedding!"